Hello! 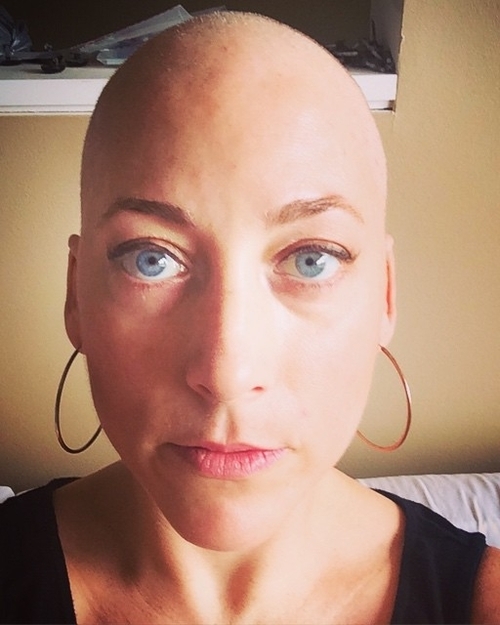 My name is Nora McMahon, and I am an Ovarian Cancer grad, class of 2015. Prior to my own cancer diagnosis, I had been a cancer cheerleader to my friends and family. In 2013, my mother was diagnosed with an early stage cancer in her eye. Fortunately, she had access to incredible medical care and was announced cancer free after several months of laser treatments. I had also championed a close friend with her own breast cancer diagnosis, as well as another friend who was an auditor to her father and niece's cancer diagnoses. Cancer truly does touch everyone's lives. In January of 2015, despite increasing fatigue, I had decided that I was going to strive to be "fit by 40"- to try and train to be the strongest version of myself to date. By March, I had major surgery, was diagnosed with Stage 1 ovarian cancer, and spent the following 4 months managing aggressive chemotherapy treatments. My goal to be "fit by 40" was soon modified to be "alive to see 40". Ironically, my cancer diagnosis forced me to become the strongest version of myself yet, mentally. I'm currently working on regaining my physical strength, and am excited to share that process with you, the Cancer Grad community. In my free time, you'll usually find me outside exploring nature or a city. I am always up for good coffee, good music, a good laugh, or a good book. I geek out over music, dogs, street art, dance, architecture, design and food. I've never met a taco that I didn't like. Prior to my cancer diagnosis, I was very active. I am a 3 time marathon finisher, having run to raise money for the American Cancer Society, Alex's Lemonade Stand and Children's Hospital of Philadelphia's oncology department. I am also a semi-professional dancer, hold a green cord in capoeira, and have participated in competitive sports all of my life, including track and field, volleyball, swimming, softball and basketball. I love to spend time snowboarding, long boarding, biking, hiking and weightlifting. I am a "tomboy" at heart.